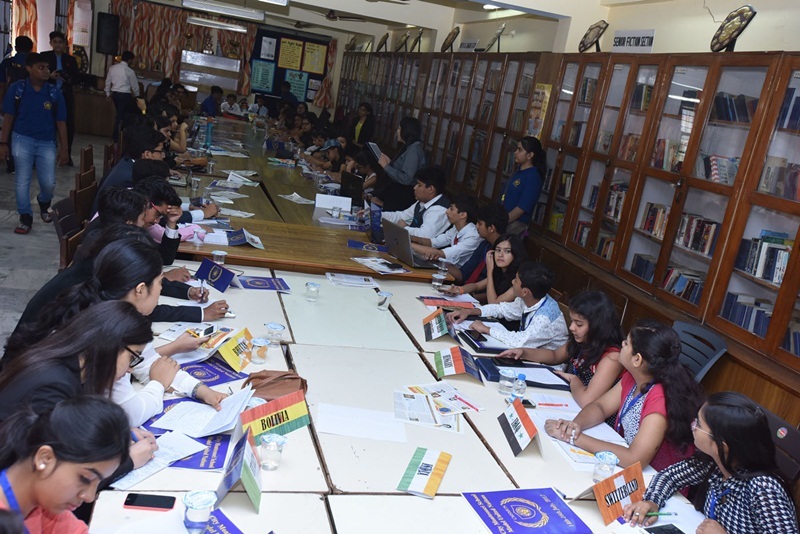 Model United Nations is an extra curricular activity in which students typically role play delegates to the United nations and stimulate UN committees. United Nations was formed in 1945 with the primary aim of preservation of peace. Till date, it has stood up to this motive and has been a medium for sharing worldwide problems. It is a model simulation of the United Nations Organisation, commonly known as the Model United Nations. The idea being deliberating on issues of contemporary relevance globally, on the level of students, through their perspectives. The students are given an opportunity to table their concerns and bring into light the issues that have bothered them not only globally, but also individually. The students represent one country each. The convenor then decides upon a common issue, that is a major concern for international community. Delegates of various countries deliberate on it and try to find a solution. A resolution is drafted after deliberations and is then presented in the general assembly where it is passed or rejected based on its utility. Student’s Perspective: - Being a part of Model United Nations is an enriching experience for all of us. From group discussion to performing activities and reaching to conclusions is a roller coaster ride. These sessions are marked by number of debates and thoughtful research contemplated chronologically by teachers and students. This is a great platform for widening the knowledge about some burning issues and putting forth our points most efficiently. This wonderful programme ought to be attended by everyone.